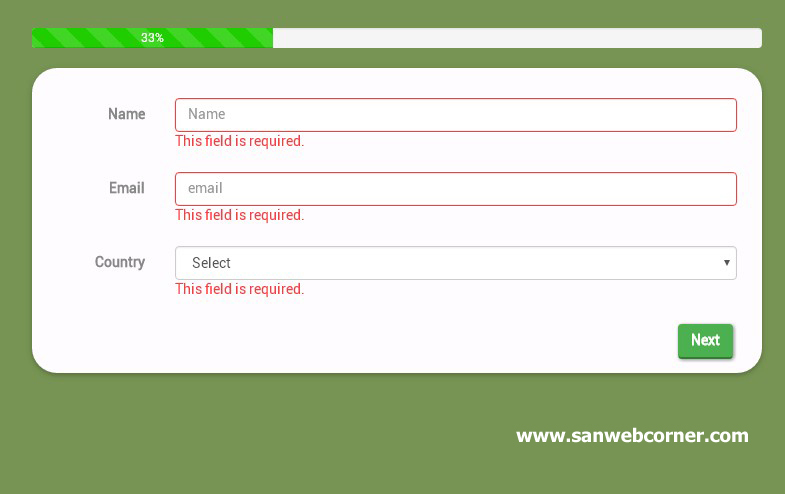 This post helps you how to create simple and perfect 3 step form with Javscript validation using Css3 and Html.Now a days 3 step form is commonly used form in the webpages because it is very attractive one for the customers because it helps no need to scroll down for the bigger type forms. And also 3 step form is captured the information by the categories, And also this from contains the Progress bar in the top of the form it will done by using css3 and Jquery for user reference. This multiple step form is the responsive form it will fit all the device because its done by using bootstrap and html . 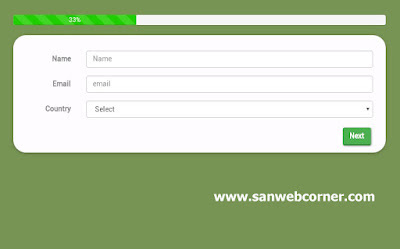 This multi step form is used to reduce the webpage space as well the user attraction. The below example have the codes and demo page. Check the below demo page for your better understanding of this Three(3) Level form with validation.